Planning a group visit to Universal Studios Hollywood in Los Angeles? Let National Charter Bus be your provider of reliable, safe, and comfortable bus accommodations for an enjoyable and stress-free trip. We specialize in moving groups around the country with ease-- let us help transport your group on an L.A. vacation you’ll never forget! 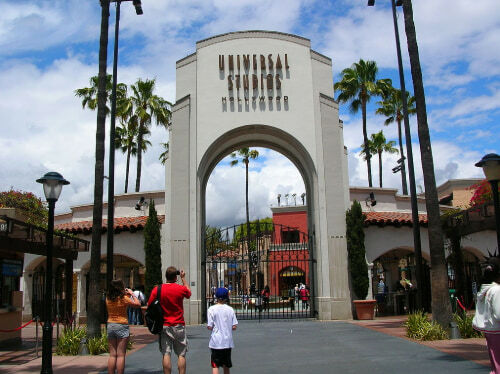 Traveling to and around Universal Studios is easy with National Charter Bus. We book buses of multiple of sizes designed to accommodate a wide variety of groups. With minibuses available for small traveling families and full-sized charter buses available for sports teams, schools, and more, there’s always a vehicle that can ensure your group’s complete safety and comfort on your trip to Universal City. Our reservation specialists will work to find the best price for your rental when you call us at 323-201-2618. Universal Studios Hollywood is one of the nation’s most unique attractions. The park combines a functioning film studio-- one of Hollywood’s oldest-- with thrilling rides filled with heart-pounding action, coming together to form a movie lover’s dream vacation. 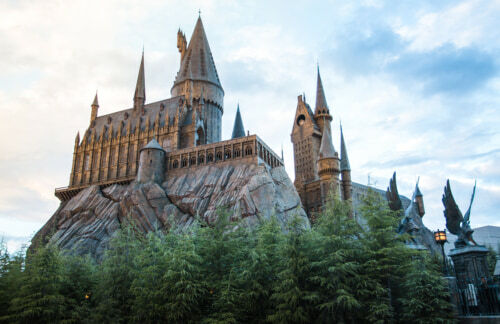 Visitors can step into the Wizarding World of Harry Potter, explore backstage secrets on the World-Famous Studio Tour, experience an unforgettable special effects show, and dine at various movie-themed restaurants such as Krusty Burger and Hog’s Head. Nonstop entertainment makes for an exciting stay, whether you’re here for 1 day or an entire week, but before you can dive into the action, you have to arrange transportation to the park. National Charter Bus has gained experience in transporting large groups across the nation, from Los Angeles to Seattle, Chicago, Boston, Miami, and beyond. No matter where you’re traveling from, we’ll get you to Universal Studios with ease. When you book with National Charter Bus, you’re provided with a clean, modern coach operated by an experienced driver who will ensure that you arrive on time to every destination. On your bus, you can enjoy reclining seats, air conditioning, on-board entertainment, on-board restrooms, and more to keep all group members comfortable as you travel. When you call to book, your reservation specialist will explain which amenities you may receive on your bus model. Give us a call at any time at 323-201-2618 to learn more about your transportation options. Traveling with your group by bus is a great way to cut down on costs. Renting a private bus is often far less expensive than traveling by plane, and it allows you to choose exactly when you’d like to leave, how many stops you’d like to make along the way, and where you’d like to be dropped off once you’ve arrived. 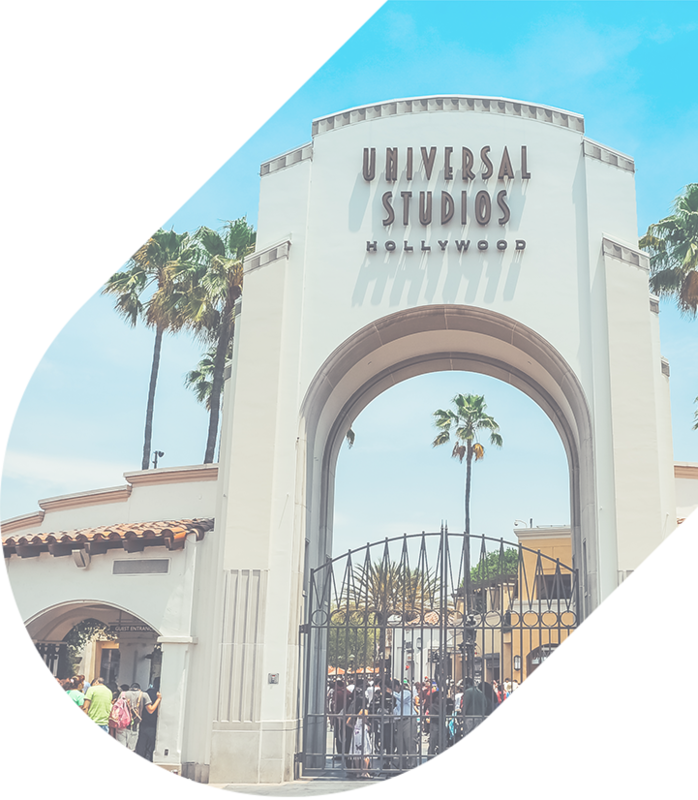 Turn your trip to Universal into a cross-country road trip, or simply travel directly to Universal City to get your vacation started as soon as possible. With a private bus by your side, you’re in control. If you’d prefer to fly before getting your vacation started, we’ll arrange for a private bus to pick up your group at Hollywood Burbank Airport or LAX. Instead of waiting for a public service or separating your group into rideshare cars, you’ll travel as a unit with a professional driver at the wheel. Unless you’re staying within walking distance of the park, which is officially located in Universal City, getting to the park can be difficult, especially if you need to arrange transportation for a large group. Your coach from National Charter Bus can stay with you throughout your time at Universal, providing private and personalized shuttle services that are tailored to your group’s requests. Put together your ideal trip itinerary and travel between the park, your hotel, and other local attractions in Hollywood, Burbank, or L.A. as many times as you’d like. You can even step away from the hustle and bustle of the city to visit the world-famous Hollywood sign, just a few miles west of the park. With a private shuttle, your vacation options are endless. Whether you’re a newcomer or an old pro, everyone can agree that these park highlights are a must-see on any trip to Universal. Jimmy Fallon serves as your video host for this one-hour tour of Universal’s historic studio lot. Here, you’ll learn a few backstage Hollywood secrets, and explore the largest set construction project in studio history. Step into J.K. Rowling’s fantastical world of The Boy Who Lived, where you can receive your very own wand at Ollivander’s, chug a butterbeer at Hog’s Head, and enjoy heart-pounding thrills on any of the park’s various rides. This state-of-the-art multi-sensory theatre utilizes cutting-edge technology to bring you a new adventure featuring Po, the star of DreamWorks’s Kung Fu Panda. This walk-through attraction takes you into the world of AMC’s The Walking Dead, where you’ll be chased by walkers as you and your fellow survivors fight your way through this post-apocalyptic world. Universal Studios Hollywood has a list of preferred nearby hotels available for you to choose for your trip. These hotels vary in price and distance from the park, so it’s always a good idea to check out prices as well as a map of the surrounding area to see which hotel is right for you. Ready to get going on your trip plans? Our reservation specialists are available 24 hours a day to help book the perfect transportation arrangements for your group and provide you with a free, personalized quote for your trip. Whether you need a compact minibus or a full-sized motorcoach, we’ll pair you with the best bus model at the best price. 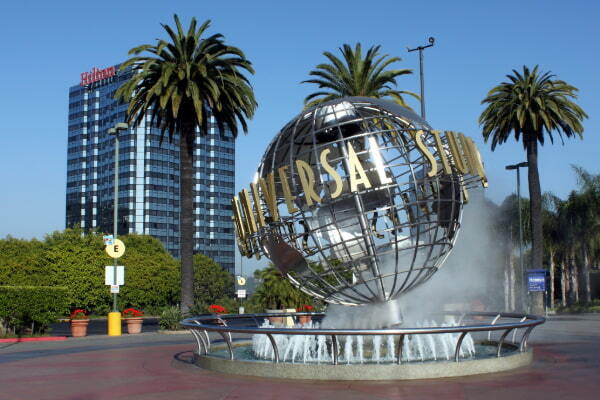 Call us today at 323-201-2618 to secure your private bus to Universal Studios!